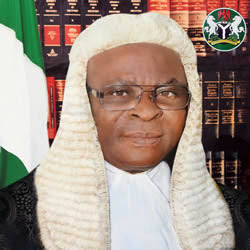 The Senate will on Tuesday reconvene to discuss the suspension of the Chief Justice of Nigeria, Justice Walter Onnoghen, and the swearing-in of Tanko Mohammed as the acting CJN by President Muhammadu Buhari, on Friday. A principal officer in the Senate, who spoke on condition of anonymity, disclosed that the leadership of both chambers would have a crucial meeting today (Sunday) to deliberate on the agenda for the emergency session. The Punch, however, learnt that the sudden decision of the National Assembly leadership to reconvene might not be unconnected with the public outcry that greeted Buhari’s suspension of Onnoghen on Friday. The source said, “The leadership of the two chambers has agreed to reconvene on Tuesday. 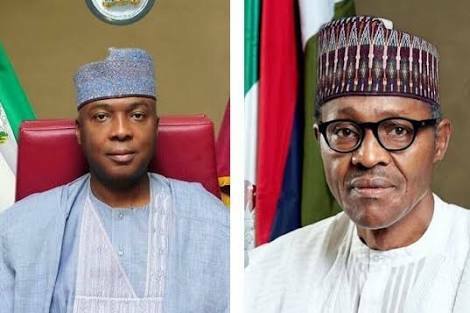 They will, however, hold a crucial meeting in the private residence of the Senate President on Sunday evening (today). The lawmakers had, during Thursday’s plenary, adjourned sitting until February 19, which will be after the presidential and National Assembly elections. Meanwhile, the British Government has expressed worry over the removal of Onnoghen. This comes barely hours after the American government disagreed with the Federal Government over the removal of the CJN. The United Kingdom said the timing of the removal, which occurred three weeks to the election, could cast a shadow over the polls while the US believed that the CJN’s removal could affect the credibility of the polls. Also, the United States of America asked Buhari to resolve the issues raised by Nigerians against the suspension of Onnoghen quickly and peacefully in accordance with the provisions of the constitution. The US Embassy said this in a statement on Saturday in a reaction to the suspension of Onnoghen by the President. The statement read, “The Embassy of the United States is deeply concerned by the impact of the executive branch’s decision to suspend and replace the Chief Justice and head of the judicial branch without the support of the legislative branch on the eve of national and state elections. “We note widespread Nigerian criticism that this decision is unconstitutional and that it undermines the independence of the judicial branch. That undercuts the stated determination of government, candidates, and political party leaders to ensure that the elections proceed in a way that is free, fair, transparent and peaceful – leading to a credible result. The Federal Government said last night that Nigeria reserved the right to control its internal affairs and noted that it would not subscribe to other countries “meddling” in its affairs. A statement by the Senior Special Assistant to the President on Media and Publicity, Garba Shehu, said, “The Federal Government welcomes the prevailing keen interest and partnerships for successful elections and peaceful Nigeria. “However, we reject any interference or perception management that promotes apprehension, citizens’ distrust or undermines the transparency and acceptability of the outcomes of our electoral process.